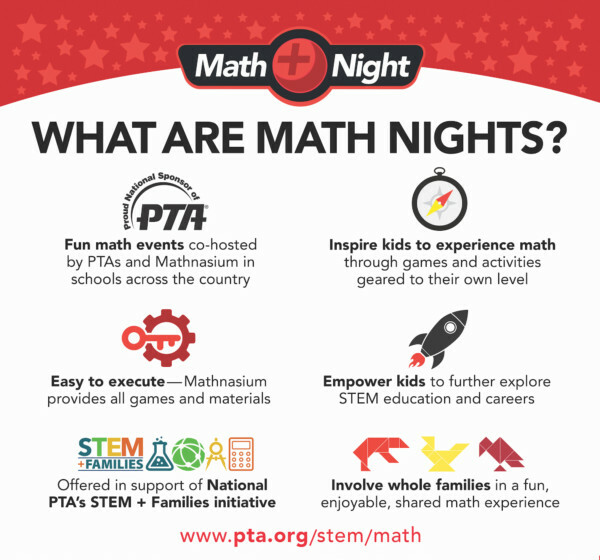 Would you like Mathnasium to come to your school to run a Math Night? Contact us at northbeverly@mathnasium.com to find out more about this community service. Would you like Mathnasium of North Beverly to come to your school's STEM Night? We also support local school fundraising events by donating gift certificates and gift baskets! Contact us at 978-922-2200 for more information. 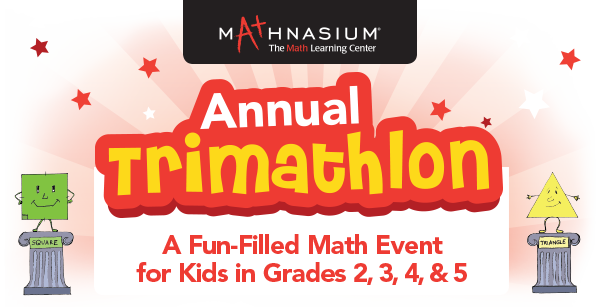 Open to kids in grades 2, 3, 4, and 5, Mathnasium’s TriMathlon is an annual math event held at Mathnasium Learning Centers across the United States. This free, fun-filled event allows elementary school kids to demonstrate their mathematical skills in a festive atmosphere and earn money for local schools! All participants receive a goody bag and the winners receive an award, certificate, and additional prizes. This is a great FUNDRAISING OPPORTUNITY for schools and PTO's/PTA's! Contact us to learn how this event can help your school raise funds today! Space is limited – reserve your spot today! Math is more fun in numbers, so invite your friends to register. Contact us for information on fundraising for YOUR school! My son has been going to Mathnasium off and on for years. It has proven to be our go to option for his math tutoring needs. We love mathnasium, it has made both my kids love math. Overall, our experience has been good. My son gets the help he needs with his homework and the instructors are very good about helping when we are in a jam with an upcoming test. Always there to help my son get over the hump by identifying and correcting bad methods. Mathnasium has been a positive experience and confidence booster! Mathnasium has been a reliable source of a wide range of math tutoring for all three of our children. They are professional, responsive, and focused on the individual needs of each student. Our daughter absolutely enjoys attending Mathnasium, even on Saturdays! She enjoys working with all the instructors and we see her confidence and skill level improving each week. Your entire Team is amazing, professional and so knowledgeable!! Thank you for making our experience with you and your Team, agai!n, another heart one!! Both my kids always have a great time at Mathnasium. All the tutors we have worked with so far are fantastic. The prizes, the treats and the games keep them motivated and having fun the whole time. I never thought my daughter would ask to sign up for a math enrichment program, but ever since our first visit she can’t wait to go back! It’s a great model, and very well executed at North Beverly! My son's grade in math improved significantly after only 1 month. Very nice and knowledgeable staff who make learning fun. My son looks forward to the sessions! Helpful staff who are all extremely knowledgeable. Scheduling is very easy and flexible. I felt very well prepared for my exam. Great for kids and adults! This is an incredible place. People are Fabulous. We love it there. The teaching is amazing. The weekly and monthly feedback and progress reports are very helpful. I also appreciate staff's availability to have a phone call and add items to the curriculum as needed as well. They make math FUN! My son loves to go. When your daughter comes home saying "I finally understand it" you know you've found the right resource! Knowledgeable and friendly staff- make learning fun! Mathnasium has been great for our daughter. We recently arrived back to MA from living overseas and our daughter needed some extra tutoring to catch up in math. Not only did she catch up, but she surpassed all expectations. Thank you Mathnasium. Excellent service and very accommodating!! We've just started Mathnasium and my daughter loves it. Everyone I've talked to is very helpful and knowledgeable. And most of all, she loves going each week! I can see her confidence growing in math, and the rewards system and prizes keep her motivated. I will definitely recommend it to anyone, whether their student is excelling or struggling. My son is having a great experience. He is gaining confidence in his math skills and is uNderstanding the material being presented to him from all the staff. It has not been very long but it has been extremely positive! We LOVE it!!! Keep up the great work! Julia seems very pleased with the instruction that she has received so far, and I haven't heard her complain once about having to go. My child is more confident in Math thanks to Masnasium. He loves going there and has fun with the staff. He no longer hates math. My son actually likes going to Mathasium. I love the flexibility of the schedule and the app is great! We are going to sign our daughter up too! Mathnasium acts as a safety net for where schools might either drop off or not provide enough forward momentum. I appreciate that i can feel like my son is getting the added instruction he needs in specific areas where he may need it, but also that he gets to soar and feel the excitement of a challenge when he's introduced to above grade puzzles. He's having fun while learning and building confidence at the same time. Thank you. Concrete goals are being achieved and our child is happy to go to Mathnasium. Mathnasium's entire process is very well organized, which we greatly appreciate. Thank you for exceeding our expectations! Mathanasium is great. My daughter loves it and all the tutors! Fabulous place Great teachers Worth the money! Mathnasium is part of my kids’ lives just like all of our other after school athletic activities are. All 3 of my kids have no fear when it comes to math class because of their weekly time at Mathnasium. Colby has had a great first month! He is enjoying going and says he is gaining skills that will definitely help him next year. He says he is looking at numbers in a whole new way!!! My daughter’s math grade went up a whole letter grade in just a month. She appreciates the extra attention in helping her understand challenging math problems. Hi Annalisa, Thank you for sharing the results with us. We are very happy to hear of your daughters improvement in such a short time. Jim and the Mathnasium North Beverly team. Jim and his professional staff of tutors go the extra mile. Mathnasium has a warm, welcoming atmosphere. My son actually looks forward to coming here and doing math! Nice, friendly, bright atmosphere. Treats are a perk. Teachers seem nice. Hope it helps my kids. Wish I knew. Worth the try! I like that their is an ap now. My kids love it there! My son started attending Mathnasium last summer. It has been great for him. Among the fact that the instructors are really good, the environment is very calm which I see as extremely helpful in creating a good learning situation for children. Mathnasium has been very helpful for my son who is a high school junior. They are helping to prep him to take AP Calculus in his senior year. Pleasant staff. Very helpful and professional. Student actual looks forward to going to the classes. I tell anyone who asks, and some that don't, how much we like Mathnasium! It keeps my daughter ahead of the game and understanding new information. I would highly recommend. When kids are confident in a subject like math it makes learning easier and more enjoyable! My son never complains about going and even helps other students at school! Mathnasium has been the best money I ever spent on tutoring. My son, who is in high school has enjoyed all his tutors and loves to go to his appointments. His tutoring is individualized based on the skills and concepts that he needs to strengthen but the instructors are always willing to talk through the why and even expand on it to connect it to real life situations. Developing the bigger connections in math helps connect things he might not have gotten in the classroom. Thank you very much. great instructors and staff! It's definitely helping my son quite a lot! My daughter, who is a Senior in high school has struggled in math, but the tutors at Mathnasium are able to break it down so that she gets it! We’ve had a great experience with Mathnasium. Our son is learning a lot and has improved his math grades. Scheduling is easy and communication is good! My student went from getting C's to now getting A's. Mathnasium is well worth the investment towards any child's future! I really think it is a great center for people that struggle or are very talented in Math. The way they teach is great because they let the kids know the tricks and that there is always more then one way of doing things. Thank you for being there for my son! The support, responsiveness and flexibility that Mathnasium offers makes it a great choice for busy families to achieve math success. Kathryn loved going to mathnasium. The tutors were excellent, the atmosphere encouraging and the online sign-up is very easy. She had always loved math anyway, but this made it a social as well as an academic activity and for a teenager that is key. She made friends there she continues to keep up with outside of Mathnasium and it makes it all that much more fun. So far it has been effiencent and well run! Easy to work with and able to juggle you when needed! Hi Monique, Thank you very much for your very complimentary review. We are thrilled the Instructors at Mathnasium North Beverly have been able to help your daughter in such a short time. With kind regards, Jim and the Mathnasium North Beverly team. It helped me daughter out a great deal. Mathnasium has very qualified teachers and they work hard to make students feel comfortable and confident in achieving their math goals. When my son and daughter leave after their session with a teacher they are feeling quite confident and understanding of the math packet they originally didn't understand. Mathnasium teachers are eager to build the students confidence. Both of my children have grown from their sessions. it's the best program with lots of great teachers that really know how to reach kids brains in a positive way. Excellent confidence builder and very approachable friendly instructors. Easy to schedule sessions. I highly recommend this format of tutoring. The tutoring sessions at Mathnasium were the sole reason my child's math grade went from failing to a C in one quarter. We were very happy with our results!! With a constantly changing schedule, we love the flexibility of being able to pick our own time and make changes on the app. My daughter has used a number of different instructors and has had a positive experience with all of them. I know it's a good sign when she is asking when she is going to Mathnasium next! I absolutely love the new mobile app!! It is so easy to set up appointments. Thank you for implementing this! Jim and his team have worked with my daughter for 2 years - it has been a huge help and she enjoys going and learning from the instructors. Thank you! It helped my daughter overcome her fear of math. Great for homework help. From my first phone call with Stephanie to the evaluation meeting with Jim, everything about our experience has been great. My daughter is usually very shy but she doesn't mind which tutor she is paired up with because they're all wonderful! She has learned so much in such a short amount of time that her classroom teacher can't believe the amount of progress she has made so far! Thank you! Tutoring at Mathnasium in North Beverly singlehandedly raised my high school son's grade from failing to passing, in two sessions. We all were greatly pleased (excited even!) with the results. We expected improvement, but this was over and above expectations. My son refused math tutoring until we found Mathnasium. Now he actually looks forward to it! Eliza really enjoys her two hour sessions, tutors are excellent and she said she has learned a lot. Hi Elizabeth, Thank you very much for your feedback, we are very happy to hear Eliza is gaining from the experience. I will pass your feedback on to our instructors, I am certain they will appreciate the compliment and results so far. With kind regards, Jim and the Mathnasium North Beverly Team. So far so good! My girls have a positive attitude about going to Mathnasium each week and enjoy their time there. They are engaged the whole hour they are there and end with a positive note as well. My older daughter seems to be gaining confidence, which was the goal. I am still not sure what affect it's having on my younger daughter as her needs are more plentiful and we are new to Mathnasium, but at least she enjoys going! Seeing positive results almost immediately. Hi Diana, Thank you very much for this feedback. It is truly gratifying to learn of a student's increased confidence and enjoyment in learning. Myself and the Mathnasium Beverly team really appreciate your sharing this information. With warm regards, Jim and the Mathnasium Beverly team. Andrew was awesome! He is a huge asset to Mathnasium. He is able to explain difficult algebraic concepts in such a way that makes sense to the 'student' sitting in front of him. Thank you! My son really enjoys attending Mathnasium and likes the different tutors who he has worked with. I have received help from different centers and love them. Jim Alosio at North Beverly is very helpful and patient with parents and students. I have referred several people to the North Beverly center. I wish there could be more availability over the weekends and holidays but I guess that is really hard to staff. Am extremely happy with Mathnasium. I have used it for homework help and test prep. You provide an excellent service. I think as a whole it has been worth the investment and has helped a good deal. My only criticism would be that there could be more feedback regarding progress within the Mathnasium curriculum. I understand that there a lot of other students however more communication with the parents to make sure that more than just homework is getting worked and that the curriculum is being adhered too so a more accurate assessment of progress can be made. Both my kids have benefitted from 2 summer sessions at Mathnasium! Both have returned to school up to speed and are doing well in math! Our daughter was hesitant to start with Mathnasium but after just one session has completely changed her opinion. Your reception and check in process allows her to feel in charge and the math exercises and instructors make it "fun". Both my kids went to Mathnasium for extra help. The instructors were very friendly, and understanding when my kids were confused about a concept. My kids actually enjoyed going there. I am sure we will use Mathnasium again in the future. My daughter has completed her first month at Mathnasium. Her enthusiasm for math has grown and she loves going to her appointments! So far a success. Though our daughter has only been coming for 6 months we have noticed a great improvement in her ability to solve math problems and her overall confidence and attitude towards Math at school. Mathnasium staff worked well with my daughter providing her with renewed confidence in math. In addition provided excellent preparation for the SATs. On more than one occasion Mathnasium came to our daughters rescue when she was perplexed with her math work. The entire staff has always worked to accommodate our daughter with scheduling an appointment as well as providing professional help. We are convinced the four years our daughter attended Mathnasium boosted her confidence in approaching math work. We are forever grateful. I am a Mother of a 12 year old that was possibly a C student and very confused with Math concepts and definitions. My son is now trying to teach me the various concepts that he is learning. he is feeling very confident! As a Mom, that is worth everything. I am excited to see what this year brings. The staff is amazing, kind and compassionate for learning. From the moment you walk in the door your greeted promptly, and welcomed. Its a very positive learning environment! I am very impressed! You continue to excellent with your instruction and service. Thanks you. The tutors are both knowledgeable in their subject matter as well as pleasant in their demeanor. I also found the scheduling to be quite flexible when I needed to change times. One suggestion I would make is that the Center be open on Fridays. My daughter was transformed at Mathnasium. From hating and fearing math she quickly became very confident and was better able to manage how much time she spent on math homework. My kids love it. It is learning made fun! Kids are loving it ! I can't believe it , they want to go to their summer math prep program. I was expecting lots of groaning when it came time to go now they ask when is our next session? Our son was struggling with AP Stats and Calculus. The tutoring support at Mathnasium brought his grades up remarkably in each subject. He ended the semester with an A- in calculus and a B- in Statistics. Fred was fantastic and Jim was extremely accommodating. They were the reason our son ended the year back on top! Excellent experience. Got my daughter back on track. flexible teachers, great knowledge of tutors delivered at the student level of understanding. My kid got "addicted" to Mathnasium. It has been a great asset for my kids. One child needs the tutoring to keep up and the other uses it to get ahead. Either way it's a great after school effort for tutoring. I wish they had this in an English tutoring class! It was a huge help with Algebra homework and understanding concepts. We took a break a few months into Geometry because she was doing well. We will most likely resume in the summer/fall in anticipation of Algebra II. Definitely worthwhile for our student!